We received some amazing submissions for the contest, and narrowing them down to the top 25 was incredibly difficult. The Round 1 Judges raved about how excellent the entries were! Congratulations to all of the Semi-Finalists!!! A million thanks to all of our fabulous judges!! Stina Lindenblatt - Stina Lindenblatt is a mother of three, an adoring wife, a photographer. She's also a fiction writer who's addicted to YA and NA (New Adult) novels, chocolate, and exercise. 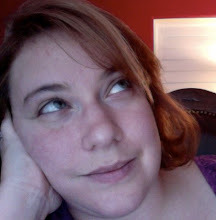 She's a member of the RWA and SCBWI, and a contributing member of the Querytracker.net Blog. Kat Ellis - Kat Ellis writes YA sci fi and fantasy, which has so far included: hot dragon boys, giant squid, drug abuse, robots, little people in trilby hats, winged aliens, shuttle crashes, kissiness, evil moths and malicious vomiting. She talks about pretty much all of those things on this blog. She's represented by Molly Ker Hawn of The Bent Agency. Vivian Lee Mahoney - Vivian Mahoney writes books about rebels. She's also a postergirlz for readergirlz, a literary advisory group for teens. Who knew going back to the teenage years would be so rewarding? Sheri Larsen - Sheri Larsen is a YA/MG/PB author repped by Paula Munier of Talcott Notch Literary. A published freelance/short story writer of numerous community interest articles; children's articles HE DREAMS IN GOLD (June 2012), MARTIAL ARTS ARE ALL IN THE FAMILY (Aug. 2012), IT'S ALL ABOUT COMBINED LEARNING (Aug. 2012), FOR LOVE OF THE FIGHT (Aug. 2012) published in Martial Arts Magazine; short story 'HIS SHIRT' in Daily Flash Fiction Anthology 2012 published by Pill Hill Press; vignette 'Tape Recorder' in The Best of Vine Leaves Literary Journal 2012 published by eMergent Publishing. 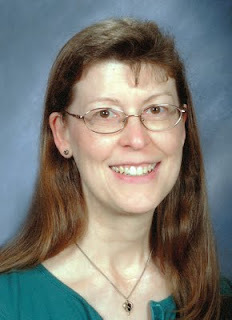 Carol Riggs - Carol Riggs is a YA writer represented by the fantastic Kelly Sonnack of the Andrea Brown Literary Agency. She is also a member of SCBWI, and has a degree in Studio Arts. She's a Christian who lives in Magalia, California with her hubby. Susan Sipal - Susan Sipal is published in both fiction and nonfiction but is perhaps best known as an analyst of the Harry Potter series. Over the last several years, she has developed and presented A Writer's Guide to Harry Potter, which helps writers of all genres improve their craft with Harry Potter as their text. She has worked in the industry for many years as an editor and marketing consultant for both small traditional publishers as well as electronic. Now she is happily editing for Musa Publishing in their YA line, Euterpe. Lydia Sharp - Lydia Sharp is an author of young adult contemporary, fantasy, and romance. She has been dedicated to helping fiction writers improve their storytelling skills through her own blog (since 2009), at the award-winning Writer Unboxed blog (since 2010), and at the Write It Sideways blog (since 2012). Laughing is her favorite pastime. Kissing is a close second. Dee Romito - Dee Romito loves to explore education, parenting, and writing. She has two beautiful children who inspire her and remind her how exciting it can be to learn and discover. She is a New York State certified teacher, PreK-6, and has mainly taught grades three through five. 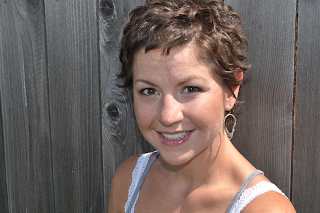 She also does freelance writing for educational companies and writes Middle Grade fiction. She is represented by the amazing Kerry Sparks of the Levine Greenberg Literary Agency. 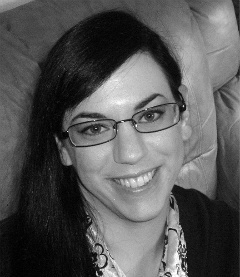 Tonya Kuper - Tonya Kuper is a YA writer rep'd by Nicole Resciniti, she is also the Promotions Manager at The Seymour Agency, and a literary intern for Marisa Cleveland. She's a contributor at YA Stands & All the Write Notes. Lisa Gail Green - Lisa Gail Green writes paranormal and fantasy. She is a generous and brilliant contributor at the First Five Pages Workshop. Look for the first novel in her DJINN series, THE BINDING STONE, available this April! She would most definitely have a werewolf for a pet if she weren't allergic. Congratulations to the semi-finalists. Hard work DOES pay off. I am overwhelmed! And thrilled up have been included in the 2nd round. Thank you and congratulations to all the other winners! Aw, knocked out int his round. Congratulations to all the semi-finalists, I'll be excited to see who wins! So many familiar names and WIPs - how exciting! Congratulations to all!! Yay! Psyched to still be alive in this cool contest. And even more psyched to have found this great resource. My writing life is already made richer by what I've been reading here. Sending virtual hugs and Girl Scout Cookies (thin mints that have been in the freezer) to the amazing judges and all the entrants in this awesome contest. I am humbled to have made it into this next round. Thanks oodles. Congrats, everyone!!! :) Best wishes in the next round! Am incredibly honored to be included in the top 25! Thank you for the opportunity to take part in this!